Don’t neglect your New Year’s resolutions; try a game of pickleball, a fast-paced game that combines elements of tennis, ping-pong, and volleyball, and meet new people in the process. All ages and experience levels welcome; at Albany’s Ocean View Field. 6-7:30 p.m., $2-$7. If you’re looking for a more intense workout, join the Endless Cycles Lake Chabot Night Ride, a weekly mountain bike ride for immediate to advanced riders. You’ll be rewarded with pizza and beer afterward. Bring a light! 6:15 p.m., free. In case you’ve been living under a rock, humans are causing the planet to warm at an alarming rate, and our glaciers are melting. Learn more about the ones in our own backyard at a talk and presentation by photographer Tim Palmer on his trips to the Golden State’s bodies of ice. At REI Berkeley. 7 p.m., free. Berkeley High may be known for its jazz program, but it’s also got a talented classical component. Check out the next generation of classical musicians at a performance by the high school’s orchestra and band, which will play a mix of classical, traditional, and pop, tonight at Freight & Salvage. 8 p.m., $14.50, $16.50. 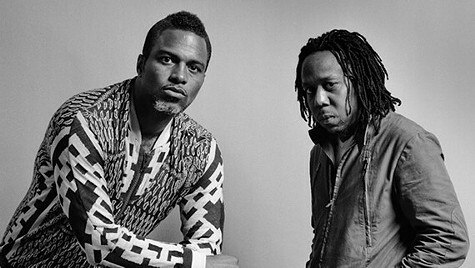 Express music editor Whitney Phaneuf recommends seeing the Seattle hip-hop duo Shabazz Palaces, calling its sound “simple and lean … but loud and noisy too, filled with jarring and experimental shifts in tempo and rhythm.” At The New Parish; 9 p.m., $15.